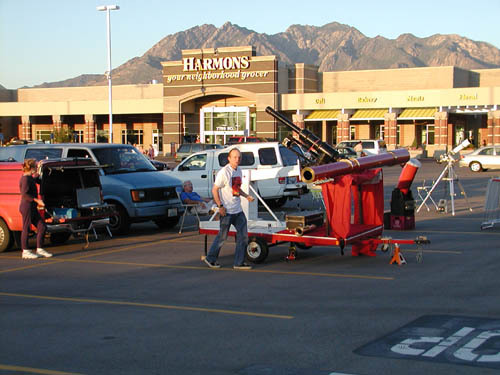 Star party at 7th East Harmons. Click on an image to see a larger picture. 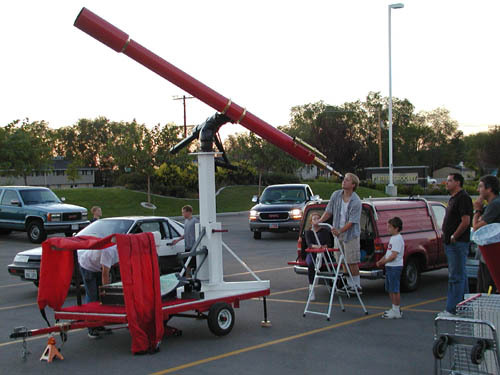 Patrick Wiggins works to set up his 200 mm f/16.8 Brant refractor as Patricia McWhorter looks on. 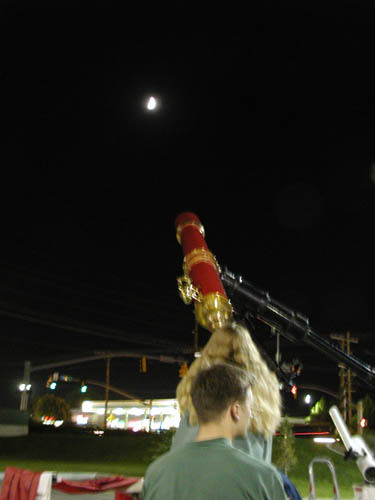 Members of the public enjoy views of the Moon through the Brandt. Shooting the Moon with the Brandt.